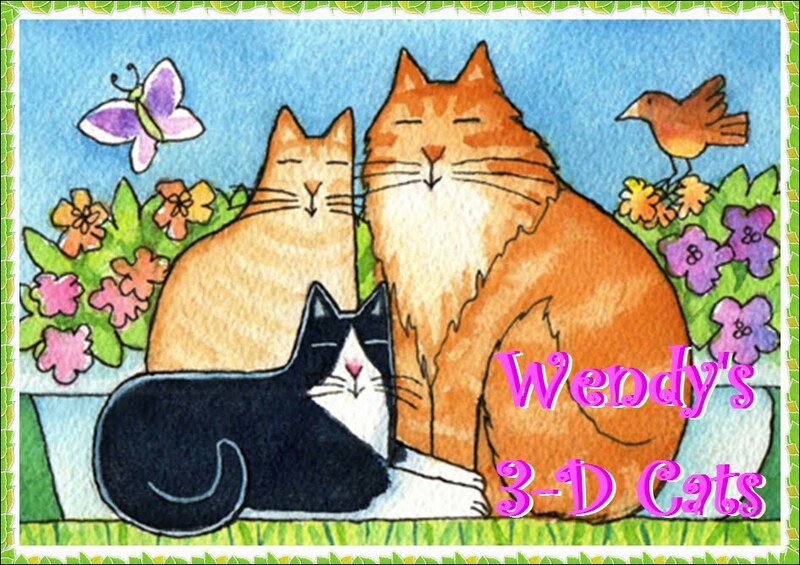 Wendy's 3-D Cats: SOCHI FASHION IN 3-D! The Russians are coming! The Russians are coming! 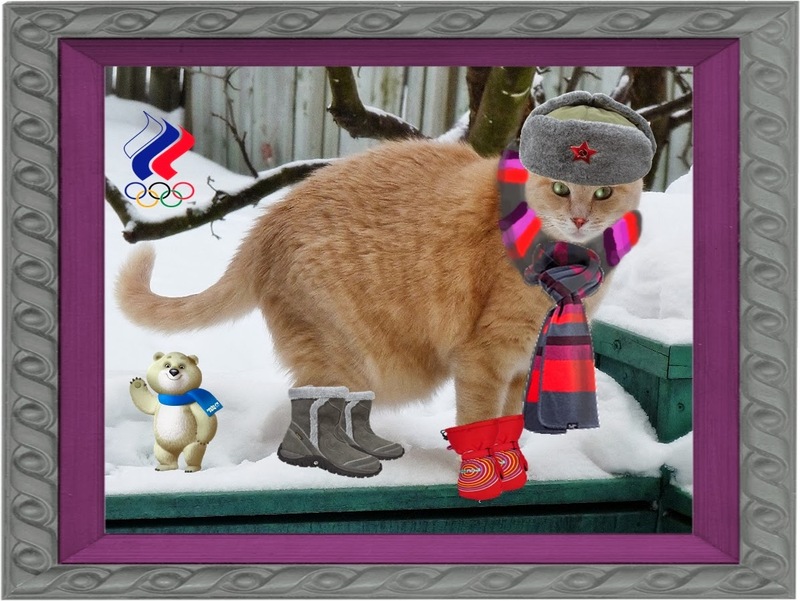 February 7th is the start of the Sochi Winter Olympics in Russia. 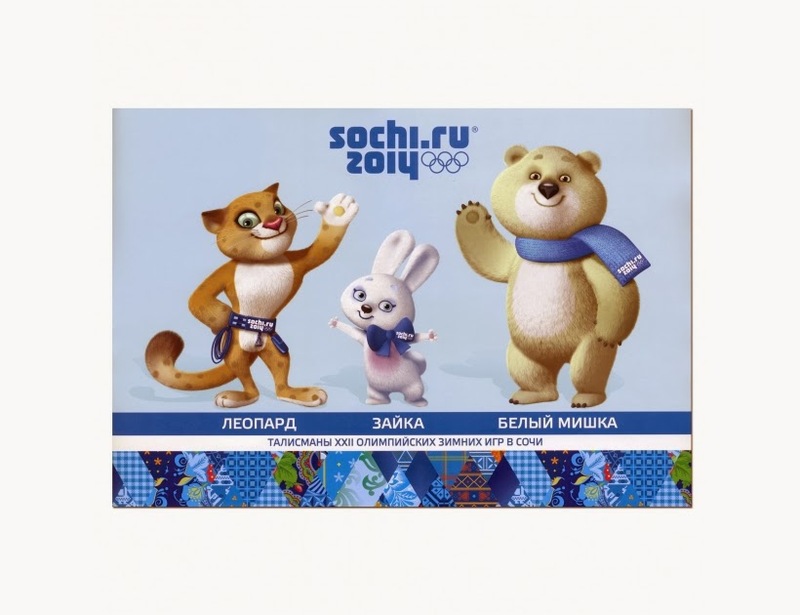 Here are just three of the Russian Olympic mascots. These ones are actually three-dimensional because they are stuffed toys. From left to right, we have a snow hare, a leopard and a polar bear. My 3-Ds have taken inspiration from these mascots and dressed up in Russian fashion, too. 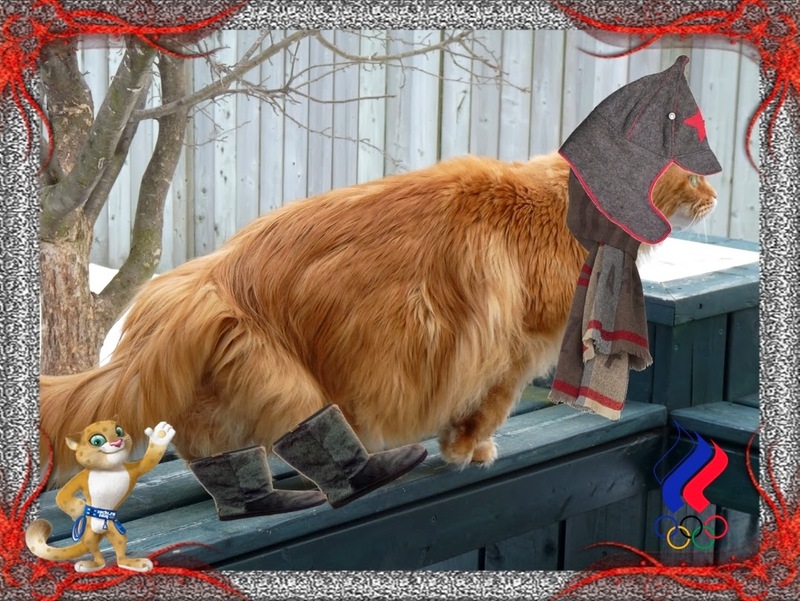 Here is Dylan in his Russian "Ushanka" hat, which he has coordinated with a gray microfleece scarf with bold stripes, red thermal mitts and gray fleece-lined boots. The Sochi Polar Bear is giving his wave of approval. "An Ushanka (also known as Trapper hat, Aviator hat, Shapka, Chapka etc.) is a traditional, yet stylish, Russian winter hat with ear flaps, which is extremely warm to handle the frigid Russian winters. It has ear flaps, which can be folded up and tied at the top of the hat, or tied at the chin. Wearing ear flaps down protects ears, bottom of the chin, nape and top of the back of the neck from the cold. The word ushanka translates from Russian as "with ears". Ushi means ears in Russian language." Domino doesn't have a 'hare' out of place in her bright pink Ushanka hat! 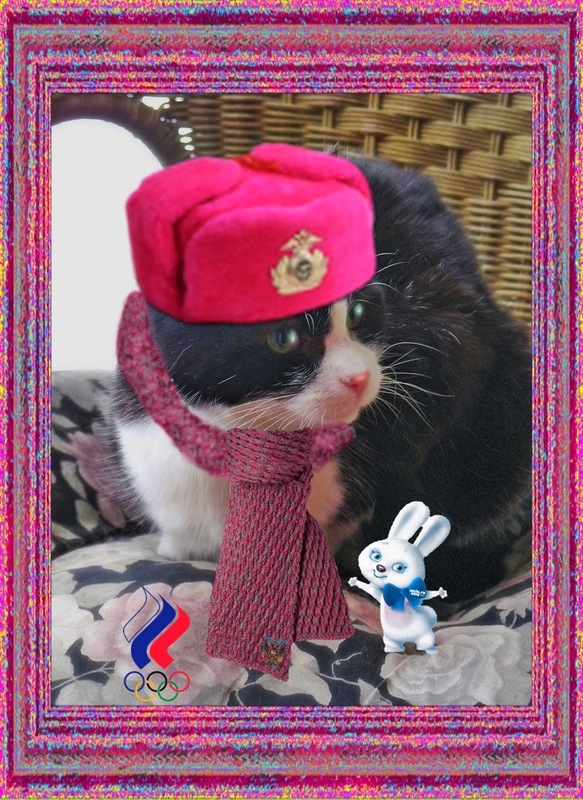 And it's very apparent that the Sochi Rabbit is tickled pink with her authentic Russian look, as well. Dante is all business in his 'Budenovka' hat with coordinating scarf and boots. 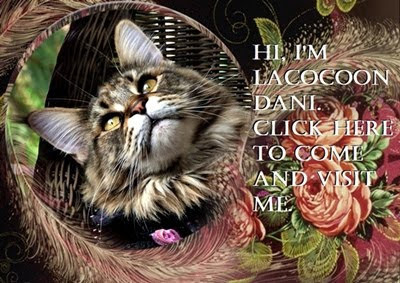 His cousin, the Sochi leopard, is proud to present this PURRticularly Russian style which is deeply rooted in history. 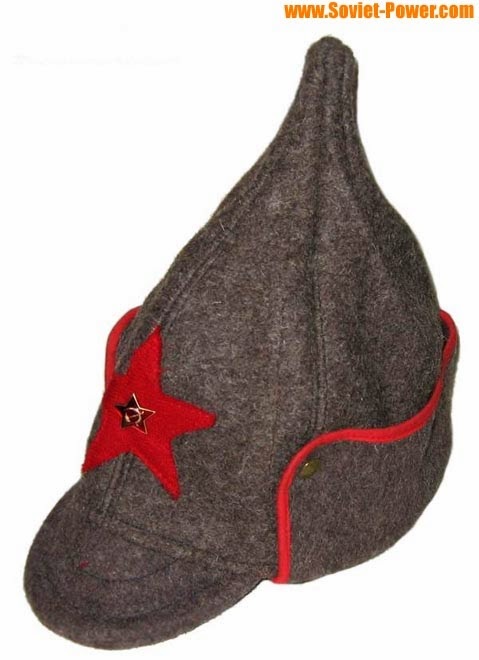 "The Budenovka hat is an essential part of the communist uniform of the Russian Civil War and later. Its official name was the "broadcloth helmet" and was typically worn under a sturdier helmet. It is made of wool and has a peak and ear flaps which can be worn up or down." 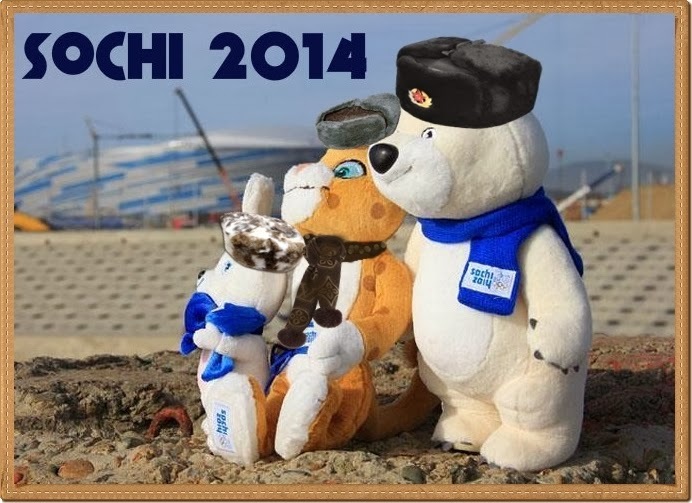 So farewell, for now, from the Sochi mascots. I'm sure we'll be seeing lots more of them on TV very, very soon.